February is Black History Month and this year the University of Toronto is looking at Black Futures, too, through artful expressions of dreams and realities. Recognize and honour the achievements of Black Canadians with us. Hear from speakers – including Toronto Raptors President Masai Ujiri at the annual Black History Luncheon, hosted by U of T on Feb. 28 – who are building communities and inspiring change in Canada and beyond. Be inspired yourself and join discussions at events taking place all month long. Take a powerful musical journey through time with actor and vocalist Nicky Lawrence. This concert features the songs and stories of female jazz and blues greats, Lawrence’s own experiences and perspectives on the “ugly Black woman,” as well as present realities and emerging futures for Black Canadian women. This event is part of Hart House’s Black Futures programming, which blends knowledge of the past with re-imaginings of the future. Occurring simultaneously in more than 50 cities, U of T is hosting the Night of Ideas again this year in partnership with the Cultural Services of the French Embassy in Canada and Hart House. Stay up late to think and talk through some urgent topics of our time, including detention and dislocation. Art installations, board games and even a late-night cricket demonstration will take place throughout the evening. Join the Centre for Ethics’ screening of Sorry To Bother You, an American dark comedy film following the story of a young African-American telemarketer. The screening will be accompanied by a presentation by Daniel Adleman, an assistant professor in U of T’s writing and rhetoric program. Celebrate Lunar New Year at U of T Scarborough with free food and fun. While you’re on the Scarborough campus, learn how to make dumplings at this month’s What’s Cooking session. Explore the valley at U of T Scarborough with an Indigenous snowshoe and bonfire experience led by Indigenous Outreach Coordinator Juanita Muise. This year’s Hancock Lecture is about the disability justice revolution. Hear from Sarah Jama, a community organizer and a co-founder of the Disability Justice Network of Ontario. This talk will be moderated by U of T alumna Loren O. Delaney, who wears many hats – among them, public speaker and community organizer. How can we increase student engagement with Varsity Blues programming? Tackle this question at the inaugural BRIDGE Hack, a tri-campus sports hackathon hosted by U of T Scarborough. Find out about the free hackathon at the kick-off event on Feb. 6. Optional skill-building modules take place in the week leading up to the hackathon itself, which takes place Feb. 15. What can we do to prevent a nuclear war? University Professor John Polanyi, who received the 1986 Nobel Prize for Chemistry, will share his thoughts on the subject at George Ignatieff Theatre, starting at 5 p.m. This isn’t your average masterpiece. Building Black Mythos by Ekow Nimako features “melanin-rich” Lego sculptures drawing from Afrofuturism, mythology, and West African proverbs. Powerful and haunting, this free exhibition is on until Feb. 22 at Hart House on the downtown campus. The U of T Drama Festival runs from Feb. 7-9 on the downtown campus, with U of T talent in nine original student-written plays. Learn to express the unspoken with this poetry workshop by U of T’s Sexual & Gender Diversity Office. Meet six innovative and influential Black women and men at the Black Entrepreneurs and Visionaries Table Talk. Share stories, chat, and learn from their journeys over lunch. First Nations House is organizing an Indigenous career fair, where students can get a foot in the door with employers like the University of Toronto, major banks, the City of Toronto and Toronto police. Organizers are hoping for a big turnout including Indigenous students from U of T and outside the university. Attendees are encouraged to bring a resumé. The fair will run from 11 a.m. to 3 p.m. in Koffler House, home of the Multi-Faith Centre. This event is co-hosted by Career Exploration and Education. If you’re inspired by Ekow Nimako’s Lego art exhibition at Hart House (Feb. 7-22) and want to create your own, come to this interactive Lego workshop to explore Afrofuturism, ancestry and family legacy. Innis Town Hall is hosting a screening of the Canadian-Caribbean Afrofuturist film Brown Girl Begins, with director and U of T alumna Sharon Lewis. Inspired by Nalo Hopkinson’s novel Brown Girl in the Ring, the film is set in post-apocalyptic Toronto and explores feminism, poverty, and literal black girl magic. Enjoy a free Afro-Caribbean vegan breakfast at the Multi-Faith Centre, made possible in partnership with the University of Toronto Students’ Union and the Veg Club. Caribbean and Canadian flavours combine in this meal by Noella Charles, founder and chef of Ella Charles Cuisine, inspired by her St. Lucian roots. U of T students are invited to the Heartbreakers Ball & Vogue Dance Workshop on the downtown campus – an electrifying evening of dance in partnership with the Toronto Kiki Ballroom Alliance. Want to learn some moves before the event? Arrive early and join the beginner vogue dance workshop. Attend the Dronesphere Colloquium at U of T’s John H. Daniels Faculty of Architecture, Landscape, and Design to hear from scholars on the drone’s “place” within cities. Craving more Afro-Caribbean food? Find more on the menu at this month’s $5 Buck Lunch at Hart House, with fried plantain, curry, and coconut squares. Students from U of T’s Faculty of Music voice studies program celebrate the diverse music of their heritage in this performance. The evening is made possible in part by a generous grant from U of T’s School of Cities and by a gift from Roy and Marjorie Linden. 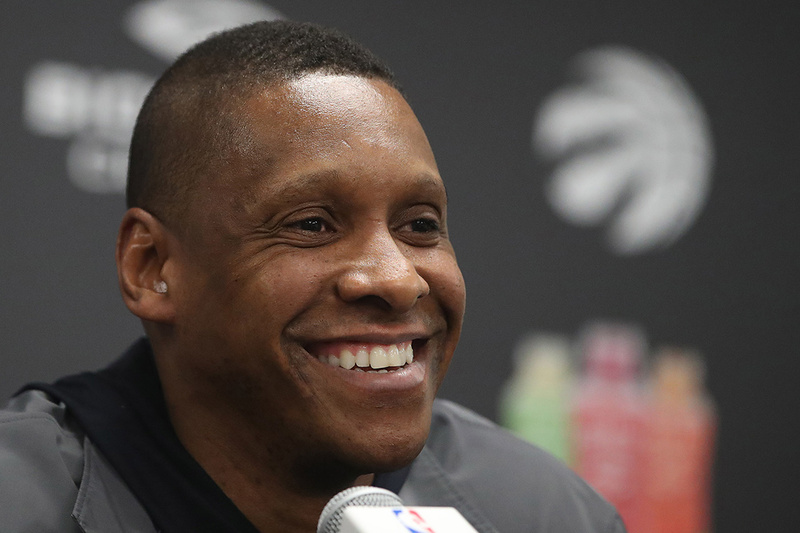 Hear from Masai Ujiri, president of the Toronto Raptors and co-founder of Giants of Africa, at the annual Black History Luncheon. Though the Hart House event is sold out, you can win front-row seats to the event through their social media contest by showing your community involvement. The event will streamed live from Hart House on the downtown campus to U of T Scarborough and U of T Mississauga. A third streaming location has been added – at the Goldring Centre for High Performance Sport. Beverley McLachlin, former Chief Justice of Canada, will discuss “Leadership: A Place for Women?” at U of T’s Munk School of Global Affairs & Public Policy. The talk is part of the Women in Leadership Series of the David Peterson Public Leadership Program. “Building Race and Nation: Slavery, Dispossession and American Civic Architecture” is the name of a talk by Mabel O. Wilson, a professor at Columbia University. This talk is part of the R.K. Teetzel Lecture in Architecture at U of T’s University College.